Please join us from 10:00 AM to 11:00 AM for the Free Community Workout. 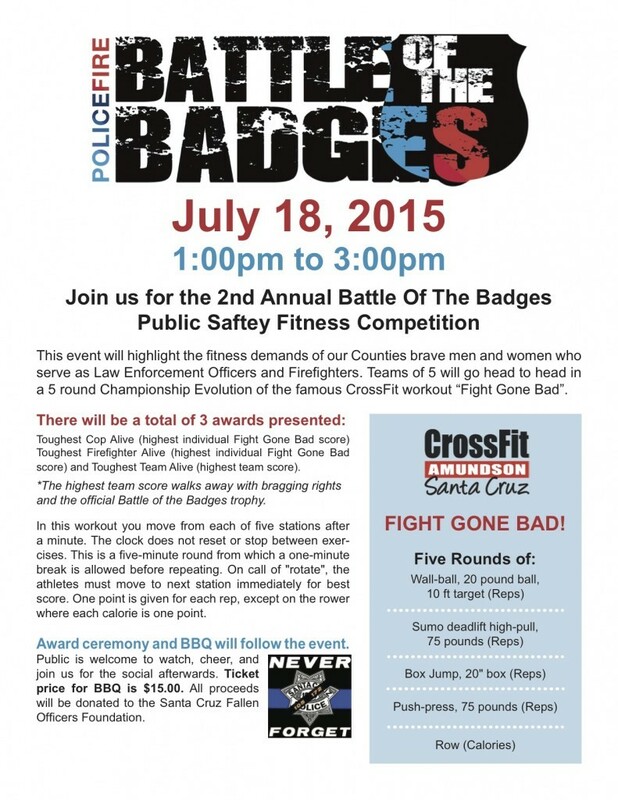 Following the workout, we will be hosting the 2nd Annual Battle Of The Badges from 12:00 PM to 2:00 PM. We encourage everyone to come support and cheer on the Law Enforcement Officers and Firefighters who will be competing in this special event.